4 Bedroom Detached Bungalow For Sale in Stockport for Guide Price £299,950. ++++ Was 310,000 Now 299,950 ++++ No onward chain. This flexible detached dwelling will appeal to a couple or a family looking for a home with scope to personalise the design and finish. Ideally located within walking distance of the local primary school, shops, chemist and doctors. In brief the layout comprises an open vestibule, hallway, L-shaped lounge dining room, kitchen, sun lounge, two bedrooms (or one bed- one study) and bathroom. First floor landing, three bedrooms and a WC. Other features include a long driveway, detached garage and an approximately 100ft plus rear garden.. Fan light glazed entrance door. Cloaks cupboard. UPVC double glazed sliding patio door overlooking the rear garden. Secondary double glazed side window. Stair case leading to the first floor accommodation. Electric coal effect living flame fire wit Adams style fire surround. Double radiator. TV point. Sash style side window. Fitted matching range of wall, base and drawer units. Stainless steel single bowl and drainer unit with mixer tap. Electric cooker point. Plumbing for an automatic washing machine. Extractor fan. Space for a low level fridge. Access to the rear sun lounge. Single glazed windows to three elevations. Two half light glazed doors. Power and lighting. Secondary glazed side window. Three piece matching suite comprising a low level WC, wash hand basin and a panelled bath complete with shower tap attachment. Tile covered walls. UPVC double glazed window to the front elevation. Double radiator. Exposed brick faced feature wall. UPVC double glazed window to the rear elevation over looking the garden. Double radiator. Access to under eaves storage. Walk in linen/airing cupboard. Light. Boarded. Ideal for storage. UPVC double glazed window to the front elevation. Single radiator. Access to under eaves storage. UPVC double glazed side window. Single radiator. Velux style window. Two piece matching white suite comprising a low level WC and wash hand basin. 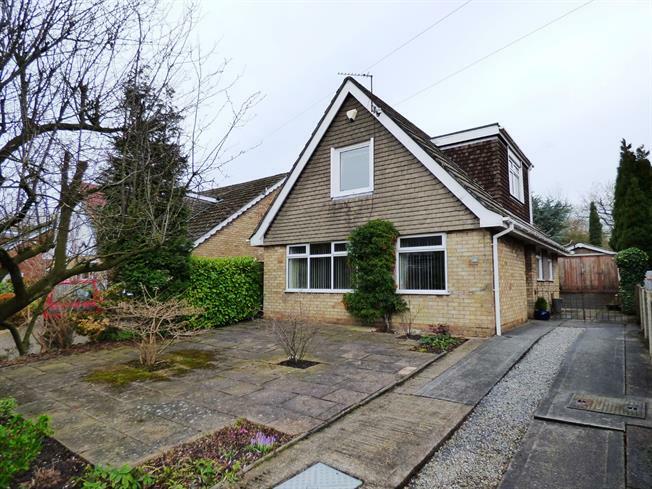 Set back spacious low maintenance frontage mainly paved with stocked borders and a long driveway providing ample off road parking for several vehicles. Mature enclosed rear garden approx 110ft x 40ft mainly laid to lawn with a patio area, stocked borders, greenhouse and timber garden shed. Double timber door frontage. Side window.